Why you should always be willing to ask questions about what is presented to you. Residential Electricity Per Capita. From VoxEU.org. Original Academic Article Here. Wow! Look at that difference and how dramatically California separated from the rest of the nation right in the 1970s! California is much more energy efficient than all of the other U.S. states. 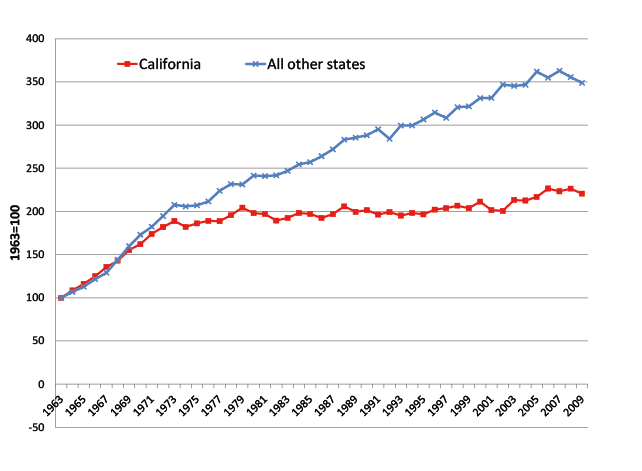 California was identical to the rest of the U.S. in terms of energy consumption before about 1970. 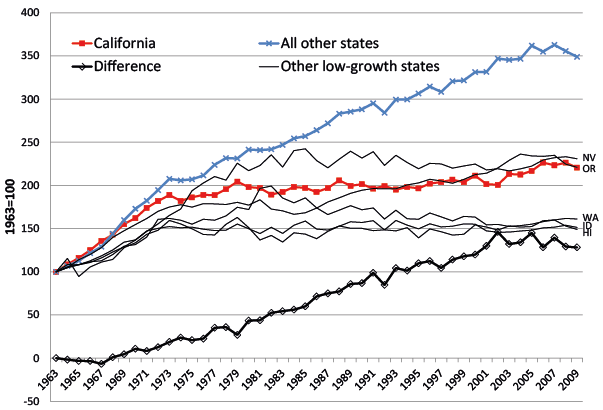 California must have had some really effective policy changes in the 1970s to cause this change. 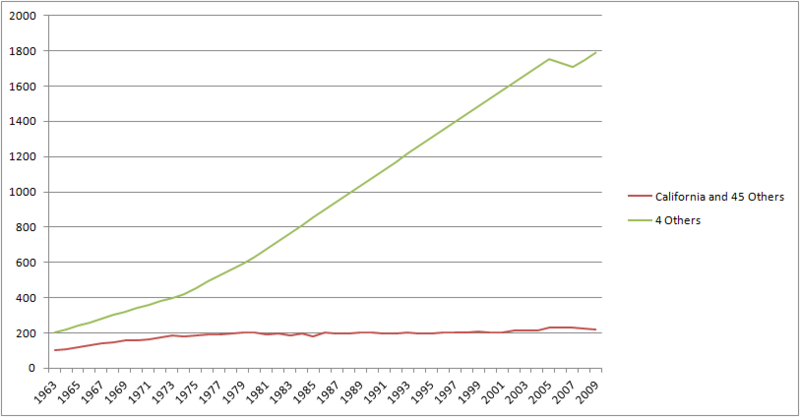 As a subset: There were some changes in energy efficiency policies for housing in 1978. That must be the culprit. Finally, California is different from more than one other U.S. State in terms of per capita energy efficiency. Residential Electricity Per Capita with Top 5 Other Low-Growth States. From VoxEU.org. Original Academic Article Here. Fictional Residential Per Capita Electricity Consumption, by State. 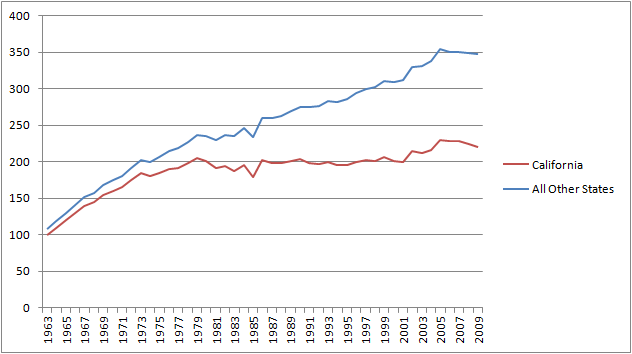 Same Data as Previous Graph. “Wow! Look how much better California is than the rest of the United States!” …I hope you’ve enjoyed this little exercise. Have a good weekend, folks.